Hmm.. vad är detta för smaskigt? Annika - håll tillgodo ! Oj, det ser härligt ut. Detta kan ju va´ nåt till frukosten på jobbet :o) Håller med champinjoncreme är en höjdare! Kall ugnsomelett kan användas till mycket. 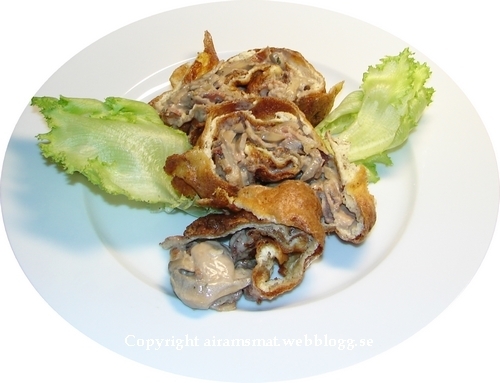 Mackor, smörgåstårta, wraps och kalla matiga rulltårtor. Har just hittat din blogg efter att jag läst Skaldemansbok och om din smörgåstårta. Såg att du gärna skriver utan angivande av mått, men för oss nya LCHF:are känns det viktigt att ha exakta recept att hålla sig till. Den evige bantaren är nu livrädd att det ska bli för mycket kolhydrater och för mycket fett, vilket man ju är van att vara ytterst försiktig med. Känns därför bra att få exakta direktiv just nu! 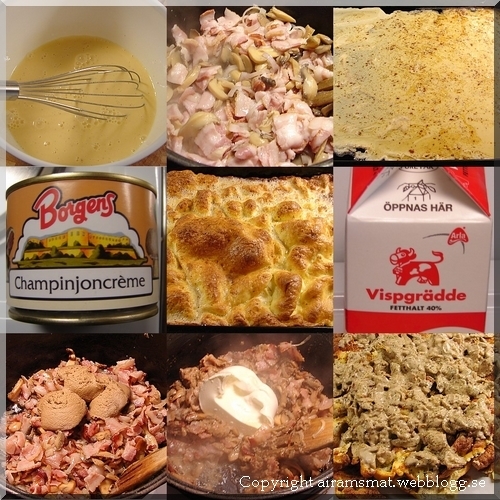 Tacksam för mått på smörgåstårtans ingredienser samt omelettrullen med jägarstuving. Återkommer om mer mått på andra rätter efter hand. Skulle förstås önska att du skrev måtten redan från början. 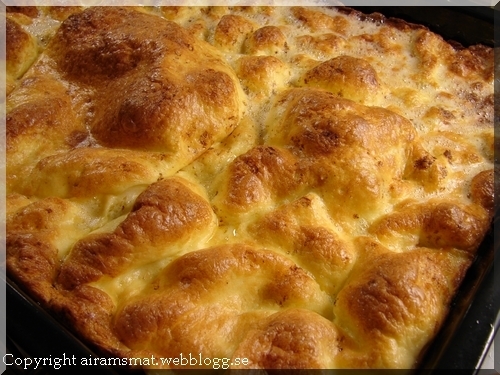 Tack för (som det verkar) underbara recept. P.S. Har tappat 5 kg under min första månad och vill absolut inte "misslyckas" genom att äta "fel". From this year's March 26 started, he replaced the injured Allen into the first team, playing time suddenly rising. The first game he was kept out of the 23 points of data, then 18 games, he has 13 games to score in double figures. Air Jordan Shoes More rare is, his shooting percentage is always high, the most typical when the world on April Buy Jordan Shoes 19 against magic, he all 10 of 14 shots had 23 points, the percentage is more than seventy percent. More important, Cheap Jordan Shoes in the playoffs, he Air Jordan Retro also plays in the defensive end out a big role, Cheap Jordan Shoes although contrapuntal Joe Johnson no height advantage, but his steps and flexibility also let the other side feel uncomfortable. Today Air Jordan Shoes before him off and was in a one-on-one to Johnson a remember the big cap, this shows the ability not ordinary. There was a time people used to fish using a wooden stick and some string. The bait that was used to catch these creatures were real worms so the individual had to catch a few first before going to the pond or lake. Nowadays, the bait that is used to catch bass is different.<a href="http://www.zarausaonline.com/"><strong>zara</strong></a> Artificial ones have flooded the market and using one or a combination will be able to let the individual catch the maximum limit before calling it a day. Here are some of the best brands of baits in the market, which the person can try to be able to get the desired results. 1. The first is called a Zara Spook. The shape of this bait looks like a cigar and just floats in the water. The individual will have to throw it in and pull it back toward the boat and hopefully catch a bass along the way. 2. The next bait is called a Senko. A lot of Japanese use this to catch fish and works very well near old trees that have fallen into the water where most of these creatures live. When the person feels a bite, it is time to bring it in back to the boat. 3. The Floating Worm just like the real one always does the job in the water. These are usually made of plastic, which are 6 to almost 11 inches long. All the individual has to do is dip it into the water then just wait for a bass to bite on it. 4. Resembling the actions of another fish is something the Superfluke does best. This is because it resembles a minnow, which is one of the species that bass love to eat. 5. Another bait is called the torpedo. This variation got the name because it has a silver propeller at the end. Once it hits the water, the props will begin to move creating vibrations in the water for the bass to home in on until the person gets a bite. 6.<a href="http://www.zarausaonline.com/"><strong>zara</strong></a> The Buzz Bait works just like the Zara Spook. It doesn抰 have anything fancy but just floats there on the surface until the bass comes in which just proves that this thing works. 7. The next is called Stick Bait, which is also hard piece of plastic floating on the surface. The person will have to give it a tug once in awhile to get the attention of Bass swimming nearby to be able to catch some and bring it on board the boat. 8. Pop-R is also interesting to use a bass fishing bait. It also causes disturbance in the water when it is pulled so it is just a matter of time before the hunted are captured and brought home for supper. 9.<a href="http://www.zarausaonline.com/"><strong>zara usa</strong></a> The Tournament Frog is great to use as bait in lily pads and murky waters. The bass won抰 be able to tell that it is something a fishermen will use to catch it until it is too late. 10. The last bait that can be recommended is the Spinner Bait. Though it works just like the Torpedo, those who use it well will be able to catch a lot of fish by letting it rest on the surface rather than in the water. Sacs De Luxe pas cher Chapeau Puma reduction P001 - Chapeau Puma Nouveau P001,Chapeau Puma Homme,Chapeau Puma Homme Pas Cher french . The <a href="http://www.fakeoakleysunglasses4us.com cheap fake oakleys</a> sunglasses are meant to be for protecting your eye, but this does not hold anymore in present scenario. The sunglasses are not only seen as a protector of eyes. They are nowadays seen as a projector of your personality and fashion. Of course we are talking about the popular type of sunglasses, the designer sunglasses. The sporty and trendy look that the designer sunglasses offer you are the ones that make up your personality. <a href="http://www.fakeoakleysunglasses4us.com fake oakley sunglasses</a> form the most important part of your attire. The main thing about designer glasses is that they can cater to all tastes. The designer sunglasses, is more used to give you a unique look with a creative fashion of your own.